Tongue and groove paneling is created by joining slats of wood together using a tongue and groove joint to cover a wall. 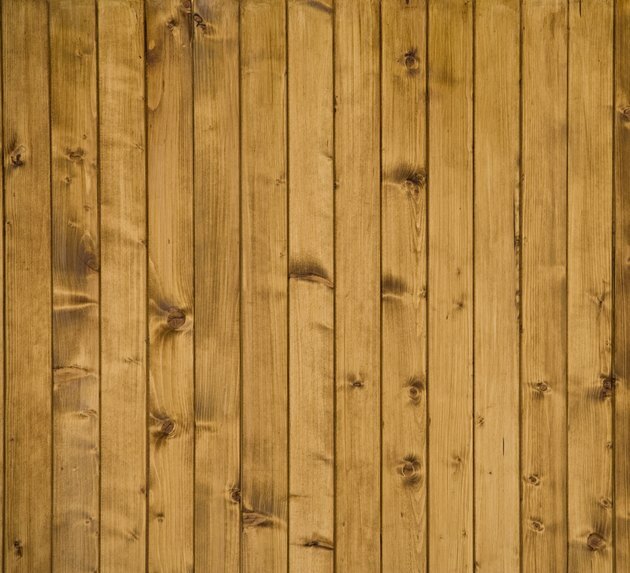 This type of paneling is common in older homes that were built before the large sheets of wood paneling were created that are used today. Painting paneling isn't difficult, but it does require a few extra steps to make it look its best. Painting wood paneling can update the look of a home. Protect the floor from paint and debris by covering it with plastic sheets, which can be purchased at any home goods store. Tape the sheets to the floor by lining the edges of the sheet with painter's tape. If the paneling doesn't cover the entire height of the wall, tape off the top edge of the paneling. Paint and primer adheres best to raw wood. Prepare the wood for the paint by using a fine to medium grit sandpaper to remove any existing paint or glossy coating. Fold sandpaper in half or fourths and use the edge of the paper to get into the cracks between each slat of wood. 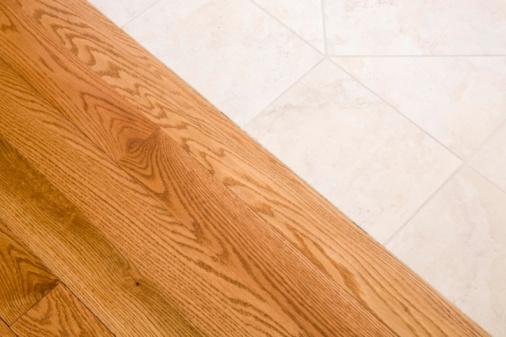 For thin wood or areas that are difficult to reach, remove paint with a chemical paint remover. Push paint remover into the wood using a paintbrush and allow it to set for 20 minutes. Scrape away paint and paint remover with a metal scraper. It is important to select the appropriate paint for your wood. Interior latex paint is a great general-purpose paint for wood paneling, but you can also use oil-based paint. Oil-based paints are usually more durable but they are difficult to remove and worse for the environment than latex paint. It is also important to choose the appropriate paint sheen for the area, which depends on the amount of wear the area will get. The best sheen for paneling is satin or semi-gloss if the paneling extends over a half of the wall or less. If the paneling extends from floor to ceiling, use a satin or eggshell finish. Begin painting the wall by rolling primer onto a 10-foot section of the paneling, using a roller covered in primer. After covering the section, cover the roller with a plastic bag so it doesn't dry out. Use a paintbrush dipped in primer to paint into the cracks and corners of the paneling. Working in small areas allows you to smooth out the finish before you move to a different section. Repeat this process, covering the paintbrush or roller with a plastic bag when not in use, until the entire area is covered in primer and allow it to dry completely. Paint the wall using the same method for painting primer to cover the paneling in paint. Paint several thin coats of paint rather than one thick coat. Remove the tape after the paint has dried.